As Instagram continues to grow with pictures of just about anything imaginable, you may find yourself browsing and searching for photos of, well, anything. 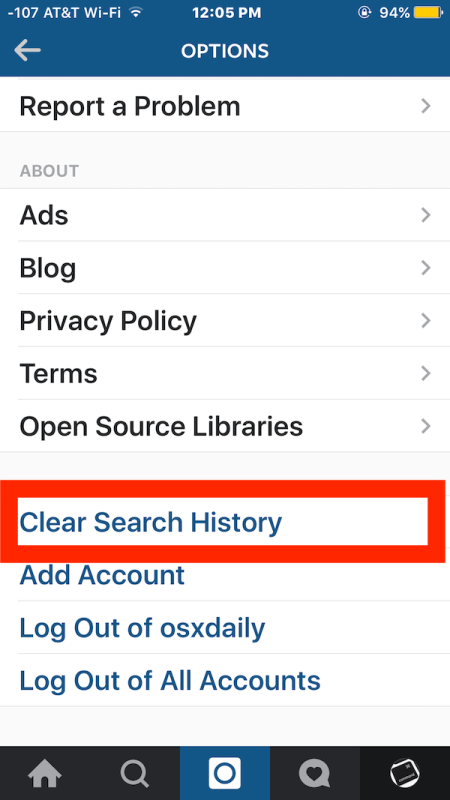 Instagram keeps track of the searches you make in the app, and when you return to the search tab and search field, you’ll find your prior search history is visible. That’s helpful for quickly returning to a prior search, but sometimes you may want to clear that search history in Instagram as well. 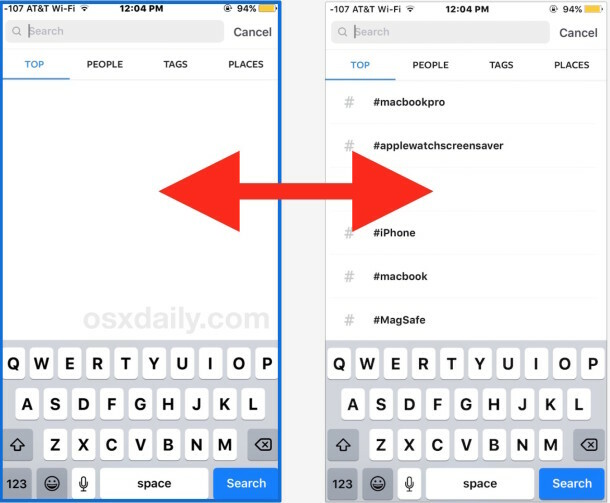 Fortunately, Instagram allows deletion of the prior searches, so you can wipe away the search history all of those iffy keywords, hashtags, and user names that you don’t want showing up in the search section of the app anymore. This is easy and offers a simple way to get some privacy back, or to ditch some dubious searches or parameters that you no longer want visible in the search history section. Maybe you were drooling over pictures of chocolate cake, or obsessing over pictures of a fancy car, or paying a little too close attention to a particular yoga pose, whatever the reason, you’ve cleared the searches and you can go about your way without the prior search history there. Of course even if you’re not clearing the search history because you’re embarrassed by whatever it was or want some privacy, it can also be helpful to clear so that you have a more simplified quick search section again. This clears the search history for the active username only, if you use multiple Instagram accounts you will need to clear their search history individually for each account. This applies to the Instagram app for iPhone and Android too. Thanks to Cult Of Mac for the handy tip idea. 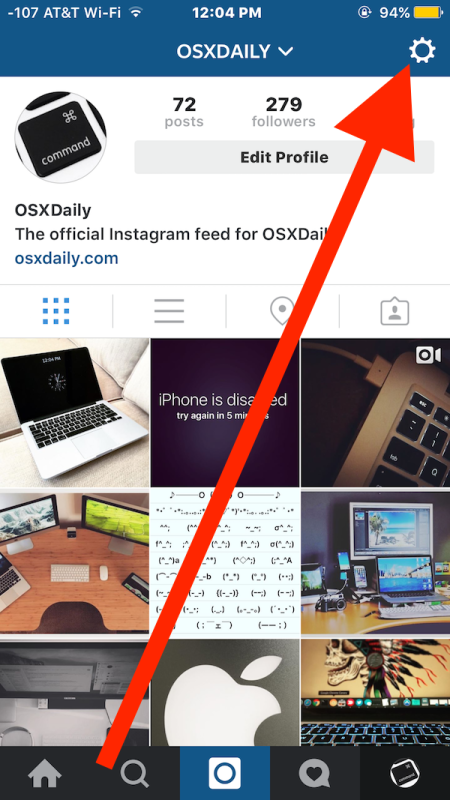 Golly jolly, I can finally get a normal looking “Explore” feed on Instagram again. Make the test, make some search…like peoples ( some not easy to find….) ….clear the history like mentioned uper……type de first letter of the pers you find before….& boom ! it’s appear on the first line….. I do not try, but maybe the only way to clean up…will be to remove the app & re_install.. 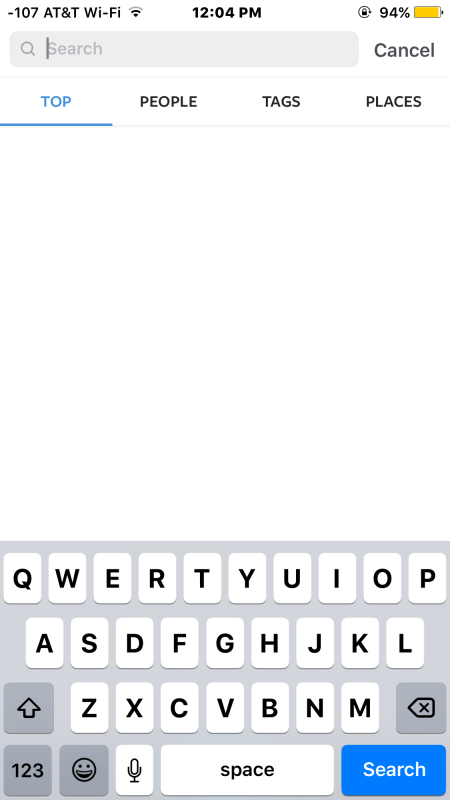 Unfortunately, this didn’t work – the profiles from history still show up by typing just the first letter. So frustrating. I’m on Android / Galaxy S6. I’ve tried just now. Cleared cache and data. Then, I uninstalled instagram apps. Then closed my handphone. After 15 minutes, I on my phone and re-installed instagram. It’s unsuccessful. It still can search the history of accounts even by entering the alphabet ‘a’. Don’t know how to solve it. I hope, someone can assist this. 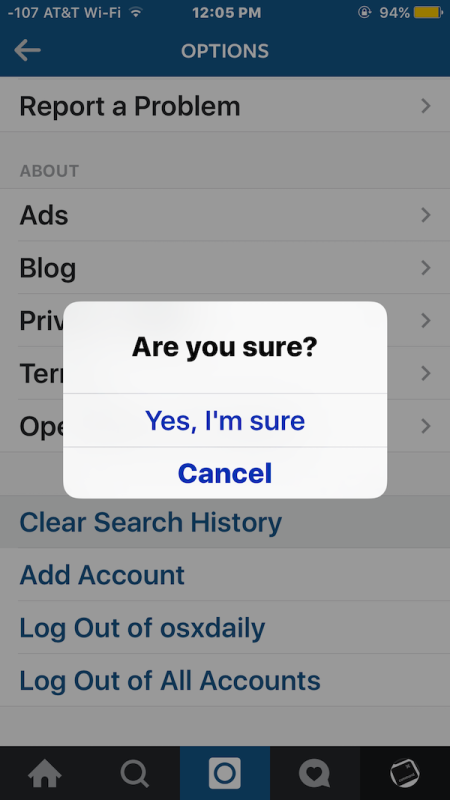 Works perfectly for clearing Instagram search history, now I won’t have my embarrassing searches showing up in instagram history. Thanks! I guess Owen can’t figure it out. Mike, I agree, nobody should need help clearing Instagram search history because it is so easy. I can’t believe people like elliot have to look for this, it’s so easy. I cleared my Search history on Instagram and now it’s blank, phew, no more embarrassments looking at you know what! Actually its not that easy. I cleared my history yes it clears all the way but if you go back to search and type 2 letters of the name you wanted to clear it still pops up. Thanking you its very greatful…. Was wondering if someone can help I cleared my search history now . Now when I try and search anyone even if I start tying any letter it’s reading error or couldn’t load search results . I’ve uninstalled Instagram logged in and out no luck .Hel???? Actually i searchd smething nd i cleared it accrding to setting nd when i go to search history nd typing sme lettr like ‘ k ‘ previously wt i search the usernme appearing how to clear entire info provided?? For how long time does it stay recently looked searches?